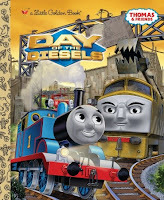 Random House Children’s Books has some exciting new for all of you Thomas &Friends fans out there! They are launching an all-new website for their hugely popular Thomas & Friends brand. The new site allows readers to easily search for their favorite type of Thomas title, including hardcover, Paperback, Board Book, E book, Coloring & Activity, Novelty, Step Into Reading, Little Golden Book or Movie / DVD tie-in. 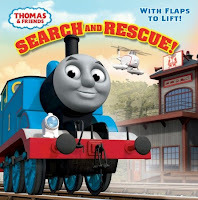 In addition, there are other fun features including a library of Thomas & Friends printables, a video section with trailers of the Thomas movies, and a “What’s New” page that allows readers to quickly discover the latest Thomas titles. 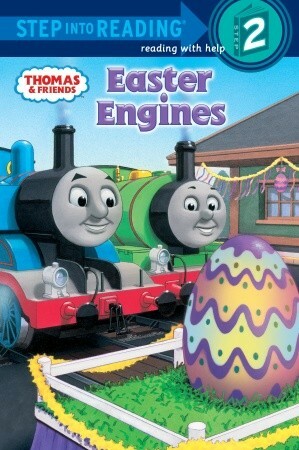 Summary: Thomas is rolling down the Easter rails in this step 2 leveled reader that will introduce children to reading—and the exciting world of Thomas & Friends! Summary: Help the engines of Sodor be really useful by fixing tracks with Thomas, making deliveries with Harold, and much, much more. 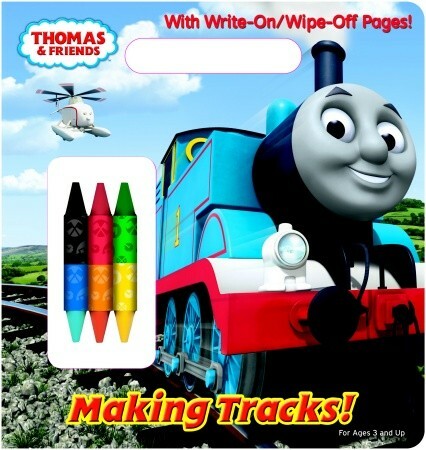 With three chunky double-sided crayons, a die-cut handle, and sturdy write-on/wipe-off pages, this interactive board book is a must-have for little boys ages 3-7 who love Thomas & Friends. 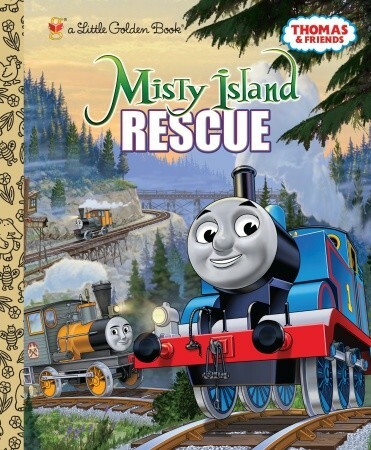 Summary: In the new direct-to-DVD movie Misty Island Rescue, the engines of Sodor are building a new Search and Rescue Center—and finding Thomas the Tank Engine is their first rescue mission! Boys, ages three to six, will enjoy this handsome jacketed-hardcover storybook, which captures all of the fun, mystery, and thrills of Thomas’ newest adventure. Summary: Special deliveries, railway repairs, and daring rescues—it's all in a day's work for Thomas the Tank Engine, and this 8x8 storybook with flaps lets little boys ages 3-7 join in the adventures. Summary: Thomas is rolling full speed ahead and off the page in this new coloring and activity book! 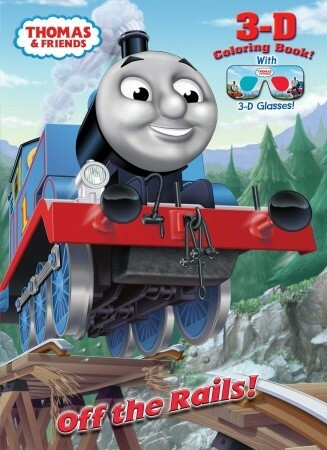 Little boys ages 3-7 will come face to face with their favorite Thomas & Friends characters as they color the 3-D images and then view them with a pair of 3-D glasses. Summary: The devious diesels of Sodor are up to no good, and Thomas must set things right! 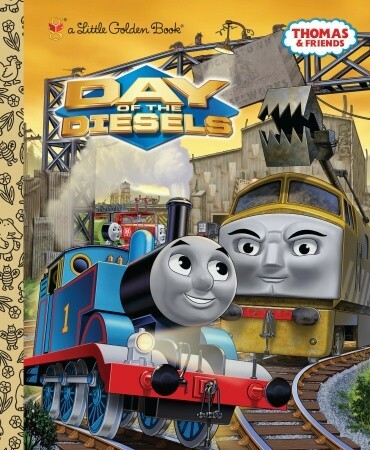 The successful Thomas & Friends movie Day of the Diesels is retold in the classic Little Golden Book format that young boys ages 2-5 will love. Giveaway alert: I have a set of these fantastic Thomas books for one very lucky reader courtesy of Random House Children's Books. To enter, just fill out the form below before March 6th at 11:59 p.m. ET. I will randomly select and notify the winner the following day. This contest is open to those of you with U.S. addresses only. Good luck! My great nephew would love these! Thanks for the giveaway! We discovered Thomas while my son was home sick with bronchitis, and now he's a huge fan! Thanks for the giveaway!! Thanks for the giveaway. Thomas was a favorite of a grandson now age 16, but I have another grandson who is just the right age for these.